BIBLE SAYS: The Book of Revelation predicts that at the very end of the world “every mountain and island was moved out of its place” (Revelation 6:14). The residents of Ponnani in Kerala’s Malappuram were in for a pleasant surprise after the water from the recent floods receded. A new island-like structure has surfaced along their beach. The narrow sand strip which is well over half a kilometre long has literally split the sea into two! The sand strip is now attracting many tourists to the Ponnani Beach, who venture into the sea, walking the entire stretch. 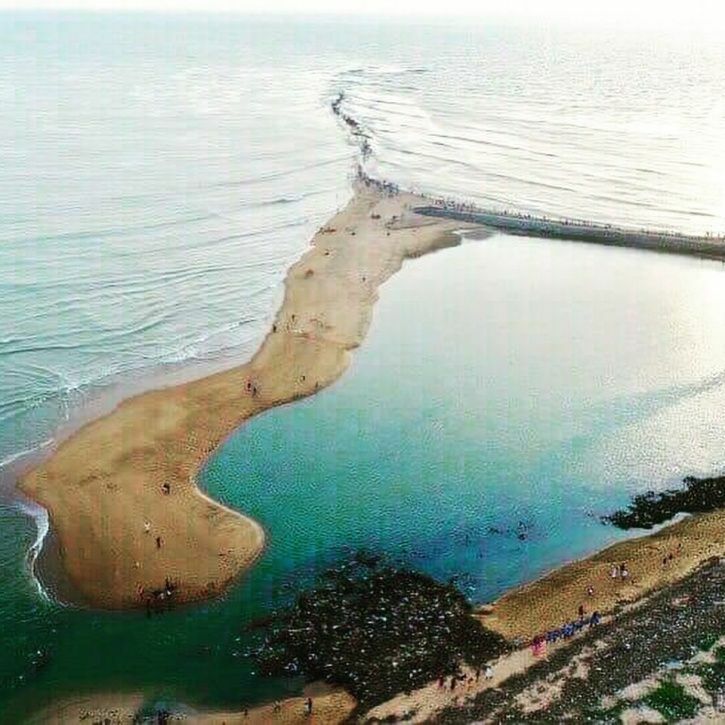 While tourists continue to flock to catch a glimpse of it, authorities have warned that the sand strip could be washed away in the case of a high tide. The narrow sand strip which is well over half a kilometer long has literally split the sea into two!